It was a random night at a college party where these two met. Russ, the ever outgoing guy, approached Emily and asked her to dance. She found this hilarious, because no one else was dancing, but she took his hand and immediately felt at ease with this complete stranger. Soon enough they were hitting it off, sharing commonalities, and that spark quickly burned into a flame. Flash forward a few years later, they had graduated and started a life together in Florida. Between job changes, masters degrees, and another move back home to Pennsylvania, these two have been through so much change together and that only drew them closer! Emily and Russ are literally so cute and fun, I decided to split their engagement session into 2 blog posts! SORRY NOT SORRY for posting them constantly! 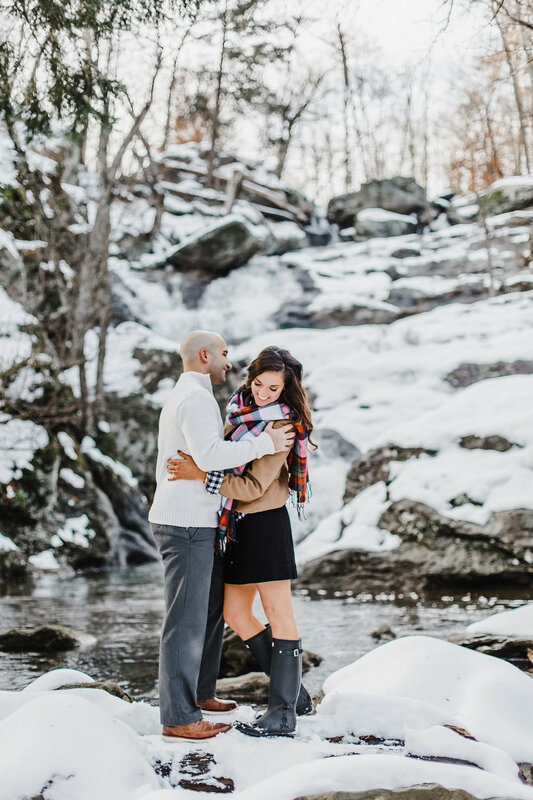 Emily and Russ, thank you for flying me out to Maryland for this fun adventure session and I CAN’T WAIT to hang out again in October for the big day! !